I’m still on a total pomegranate buzz and even squeezed two pomegranate-based recipes in to Weekend magazine in The Irish Independent last weekend. 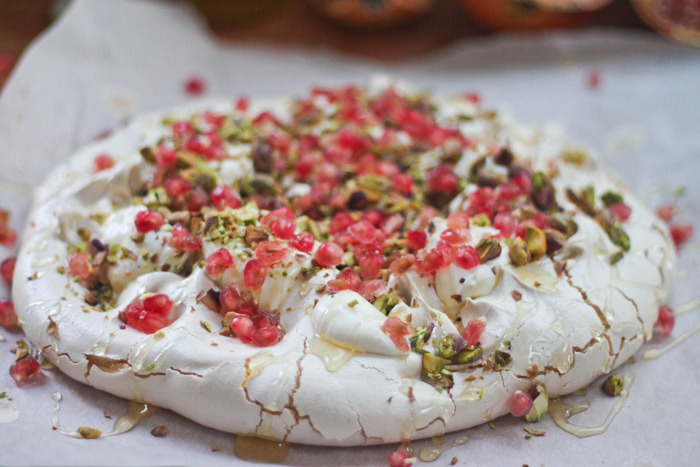 I shared a pistachio and pomegranate pavlova for the Naughty foodies. 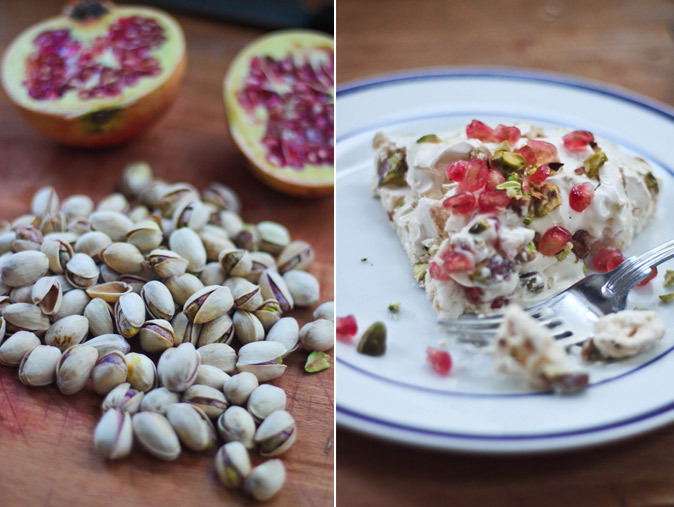 The first time I made this I did it with regular salted pistachios – it was sort of weird but sort of amazing to have that sweet and salty affect. But it probably worked better with the unsalted variety, which you can usually pick up in health food stores. Last Saturday was the first weekend that I hosted Naughty or Nice solo in The Irish Independent’s Weekend magazine. 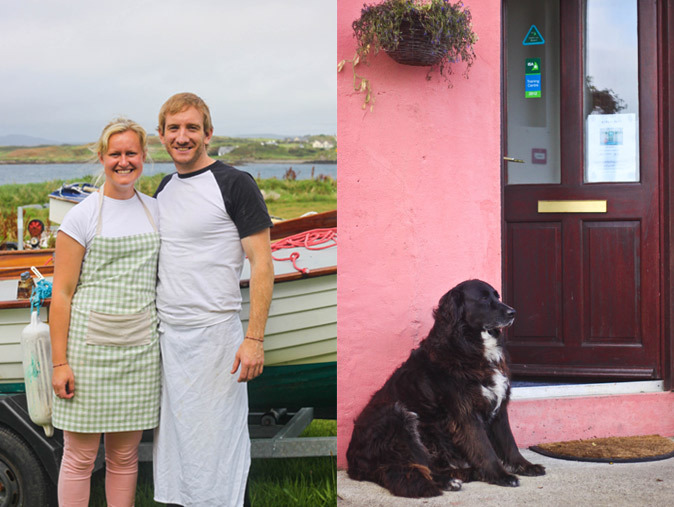 For more than a year and a half, myself and Aoife Barry wrote the weekly column together, sharing ideas for main ingredients or types of dishes to help inspire each other’s recipes. It has been such a pleasure working with such a talented writer and virtuous cook, and I wish her all the best in her future projects. She’s awesome. 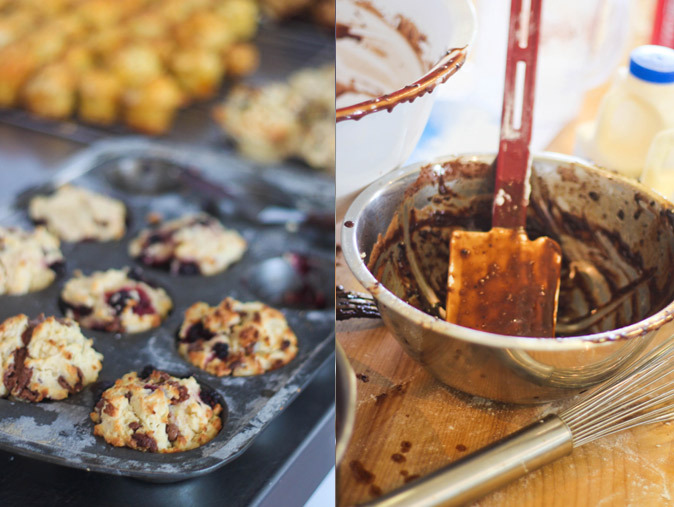 I’ll be taking over from Aoife Barry and providing you with both recipes each week: the Naughty and the Nice. You’re probably aware that my natural instinct is to veer towards the naughty recipes. But after years of indulging myself, I’m starting to come around to nice recipes. Mainly on the insistence of my GP. Just kidding. I’m delighted to be going forward in The Irish Independent and sharing a more rounded (and I mean that in the balanced rather than the plump way) version of my kitchen recipe files with you. 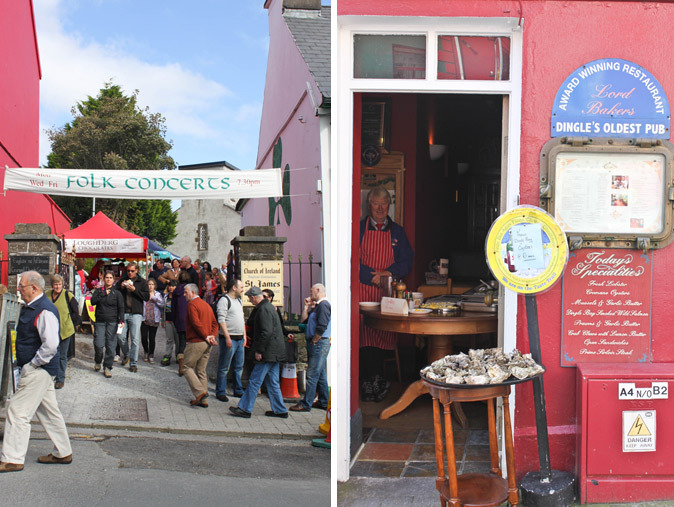 This week, I talked about the Wild and Slow Festival taking place in Wicklow this weekend and pointed you tweeters out there in the direction of Foods of Athenry and The Rebel Kitchen. 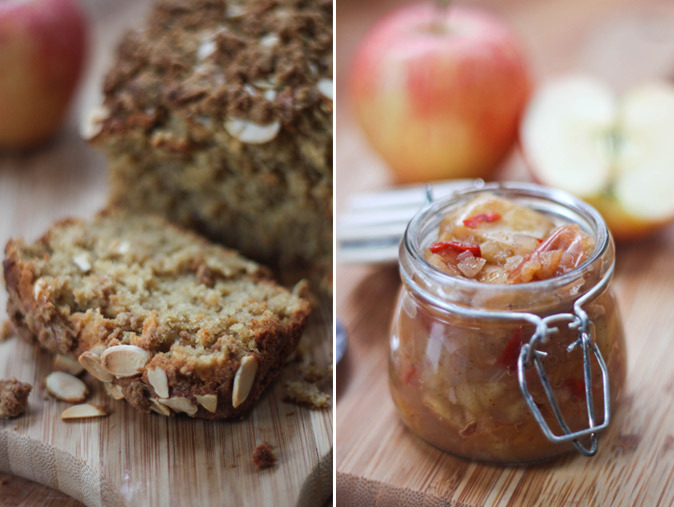 Recipe wise, I started my solo flight with an Apple Crumble Loaf and a Spiced Apple Chutney. Have a look after the jump for the recipes! I love Halloween. I love the ghouls, the parties, the tricks and the treats. I’m looking forward with giddy abandon to putting my Jack O’Lantern in its place in the front window this evening and covering my hall and front door with black bin bags to create a haunted house effect in preparation for trick or treaters on Wednesday night. Tomorrow night, I’m heading to The Spooky Kabuki Halloween Supper Club at Aoife Coghlan’s Open Door Supper Club in her home near the city centre. I’m thinking that will get me in to the spooky spirit of things. 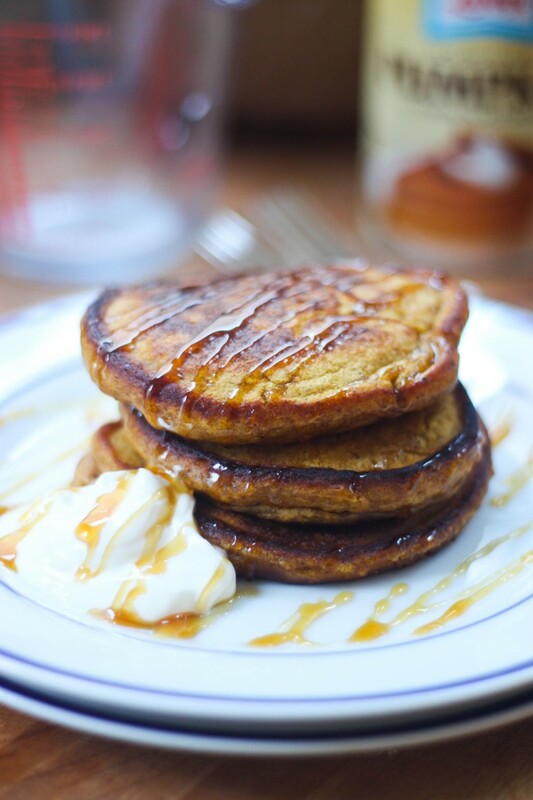 If you’re looking for a recipe to celebrate Halloween this weekend, might I recommend my pumpkin pancakes? I got the canned pumpkin purée in Fallon & Byrne. It’s the cheat’s way to perfect pumpkin pie and, where these pancakes are concerned, removes the need to roast whole pumpkins before breakfast. 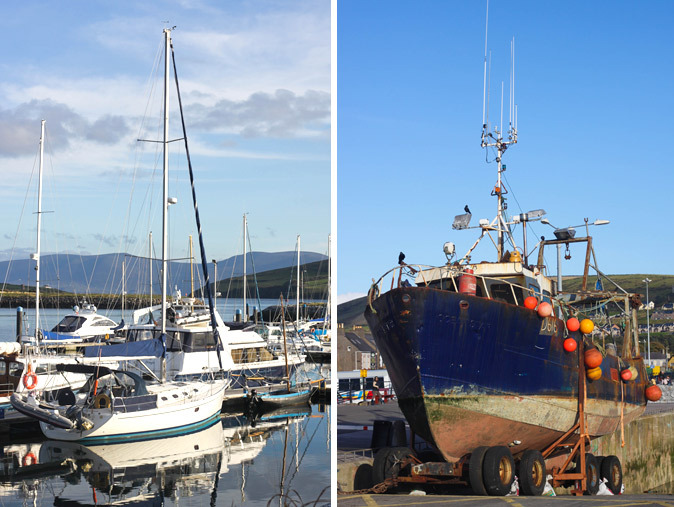 Cue a series of memories of the last few years spent in the Kerry town, made up of trips down for my cousin’s wedding, last year’s Dingle Food Festival in October and Other Voices in early December. It’s probably one of the places in Ireland outside Dublin and Monaghan, my actual hometown, that I’ve visited more than once. I’m not sure if that quite makes it my spiritual home but I’m willing to give it a few more visits to make sure. 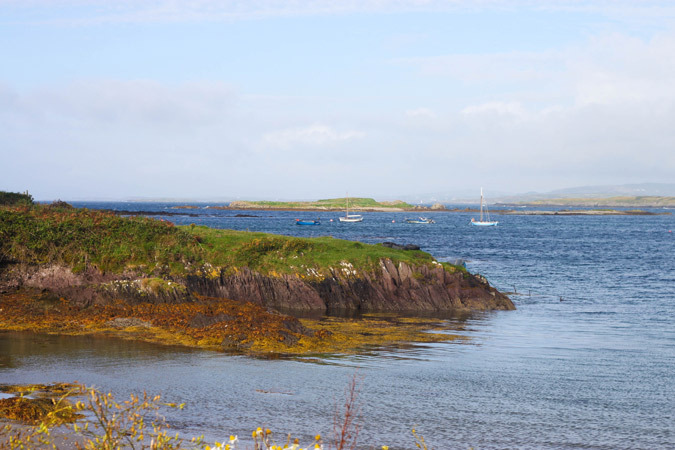 This time, I was on my way to the south west coast for the Dingle Food Festival and the Blas na hÉireann Awards, otherwise known as the National Irish Food Awards. I had been flummuxed the year before when asked to be a judge for the awards, wondering if being an eating enthusiast was really enough for me to be deemed qualified for the role of judge. I have to admit, I found the whole process exhilarating and intimidating, and was tickled pink when my categories included ice-cream and whiskey. When I was called upon once again this year to be a judge, my inner critic chided me once again, saying “But you’re still not up to this job! What are your qualifications? !” I fought back, arguing “Well, I have eaten approximately 1,095 meals since this time last year, so at least I’m a more experienced eater.” This seemed to appease my inner critic right through to the end of the judging round last Friday, when I wobbled away after four hours of careful tasting and sampling, only to fill my belly with endless other goodies around Dingle for the rest of the weekend. All in the name of research and food work experience, you understand. I love autumn for lots of reasons, but somewhere near the top of the list is the way this season changes our menus. I love the seemingly sudden shift from light salads and meats to earthy mushrooms, stews and soup as the comfort dishes reappear on our tables after their summer hibernation. On a wonderfully crisp early autumnal day recently, I found myself tucking in to a giant plate of baked beans at The Cake Cafe off Camden Street in Dublin. Smokey, spicy, rich – this rich plate of comfort food would make a tin of Heinz blush at its own inadequacy by comparison. Pomegranate seeds are wonderful little things. Sure, they don’t leave the cosy skin of a pomegranate easily and make a frightful mess upon doing so. They can be tricky to find too though I always find them in Fallon & Byrne, where I pay a hefty price for them. But they are totes worth it. 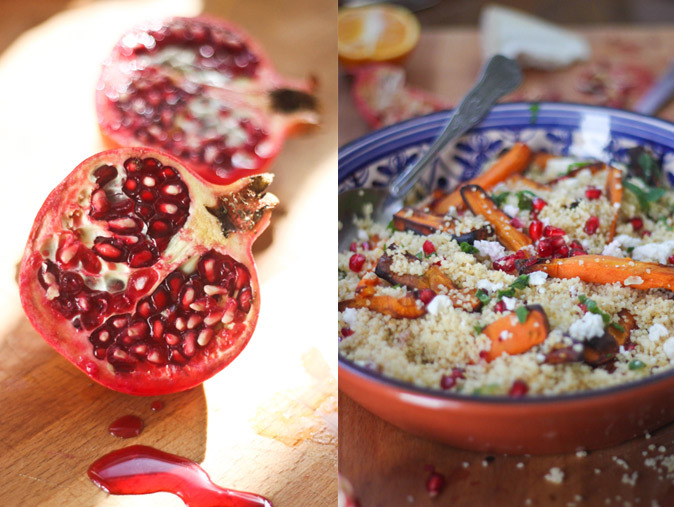 Add them to a plate of cauliflower roasted in spices and you’ve got a pomegranate party. Throw them in the blandest of couscous combos and you’ve got a bejewelled side dish with a satisfying little crunch. They’re really quite something. I saw the carrot/goat’s cheese/pomegranate combination in a recipe that I’ve since lost the link for and figured it would make for a great couscous. Turns out it’s a great side dish but also stands on its own as a meal in itself. Not least because of those little pods of pomegranate loveliness. I love finding new inspiration for recipes from any source that’s willing to give it. Cookbooks, other cooks, blogs, TV shows, and eating out. The words ‘basil tzatziki’ caught my eye on a menu recently and I just had to recreate it at home. This took all of three minutes to whip together and it was a truly scrumptious topping for a juicy burger. 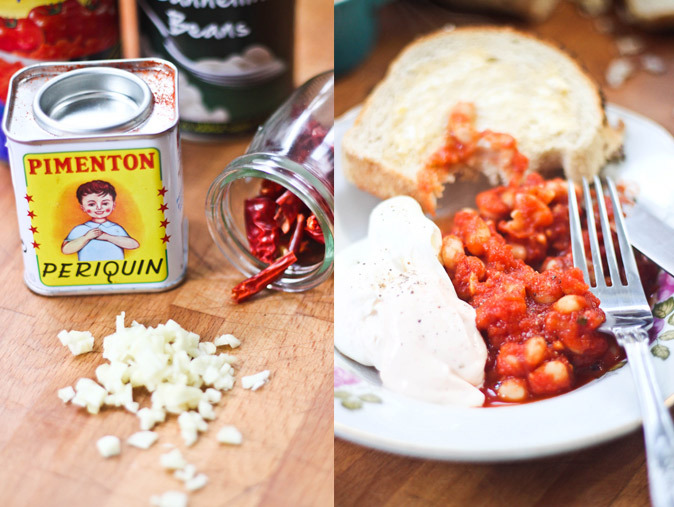 This would most certainly work well as an accompaniment to any BBQd or roasted meat, or to vamp up a selection of salads. 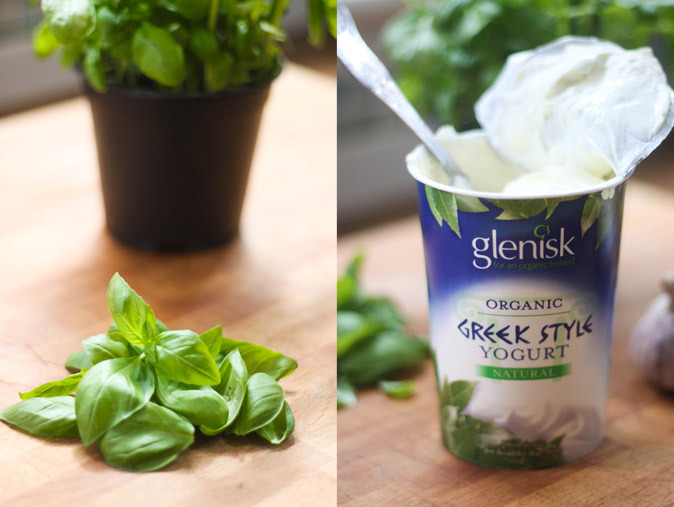 It’s quite amazing how yoghurt (even yoghurt as luscious as Glenisk’s) can be transformed into a rich condiment with the addition of three simple ingredients. Read on to find out what they are! I did kind of a silly thing. Myself and Niall made these super delicious (if we do say so ourselves) chipotle marinated pork kebabs wayyyyyy back in April when we had that great spell of weather here in Dublin. I can feel the warmth at the back of my neck now as I recall us having our first meal in our back garden, sipping a cool beer and enjoying our (indoor) BBQ’ed kebabs. It was quite something. But, then, the weather turned on us. It hasn’t been all bad this summer but we haven’t quite had the run of good weather that we had back in those glorious two weeks. Or was it even two weeks? It was probably only three days all together. Since then, we’ve had a spattering of stunning summer days, all book-ended by the usual misery of the much-maligned Irish summer. Anyway. I thought I’d hold off on the pork kebab recipe until the weather perked up again. But, I see now, in late August, my folly in thinking there would be any time better than the present for a summery recipe. 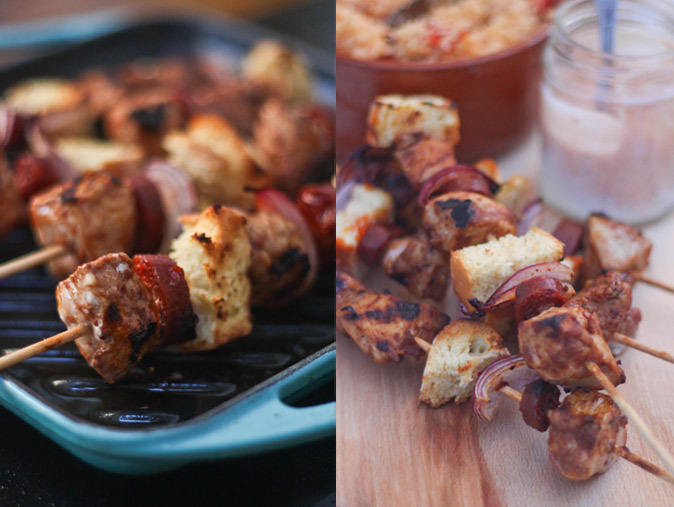 And, so, without further ado, here is myself and Niall’s recipe for Summer Chipotle Pork Kebabs. Just in time for Autumn. Well, well, well. Not so tough now, are you pastry? Eh?! 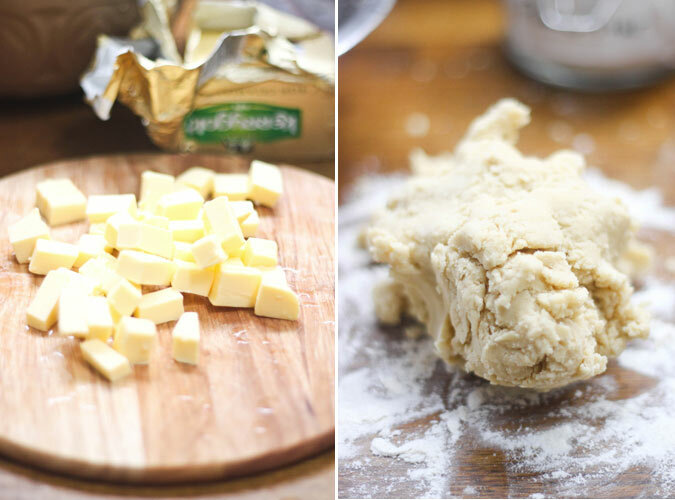 Who knew the simplistic combination of flour, butter and water could be such an outrageous pain in the arse. It’s been three years since I first discovered the fickle nature of pastry and my half-baked victory against its viciousness. In the interim, I’ve been perfectly satisfied with buying shop-bought pastry. But then, out of the blue, I almost unthinkingly conquered my shortcrust trepidation. I wanted to make some mini quiches for a recipe idea I had. But my local shop had run out of the good ol’ ready-to-roll shortcrust and I didn’t fancy a trip further afield for ingredients. “I’ll just make it myself,” I thought, with the cool confidence of the nonchalant baker. Before I knew it, it was some (considerable) time later and I was tucking into a crisp, biscuitty bottomed quiche feeling really very pleased with myself.